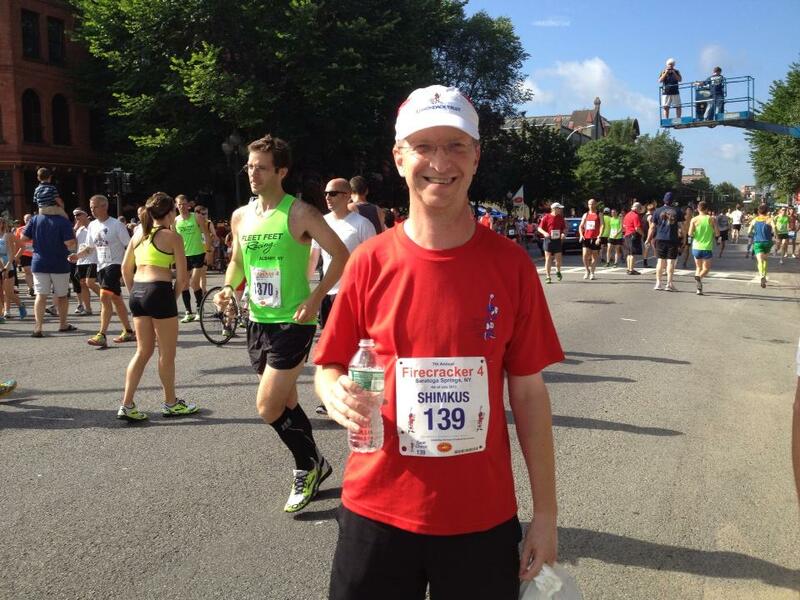 Saratoga's All-American Celebration kicks off at 9:00 a.m. with 3,500 runners taking part in the Firecracker 4 Road Race . 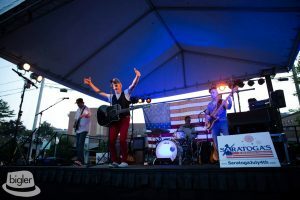 There is a family photo-opportunity with patriotic characters; an All American BBQ & Dessert Festival; a classic car show; and starting at 7:00 p.m. there is a concert in the Springs Street parking lot featuring the Audiostars. 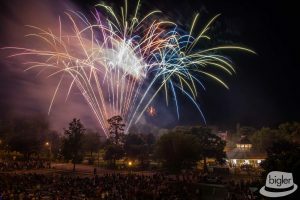 At approximately 9:30 p.m., enjoy a Live reading of the Declaration of Independence followed immediately by Fireworks with patriotic music. 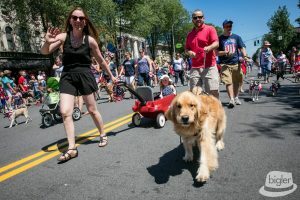 Honored as one of the Top 10 Small Town July 4th celebrations in the US by ABC News, thousands of residents and visitors come to downtown Saratoga Springs to enjoy this special Holiday celebration. Besides these events, the downtowns many locally owned shops, restaurants and stores are open and eager to help those who visit. 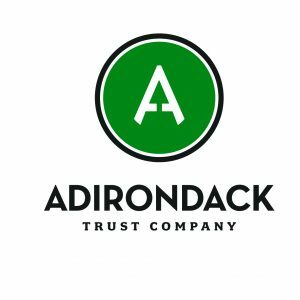 This event is organized by the Saratoga County Chamber Foundation, a nonprofit 501c3 charitable organization. 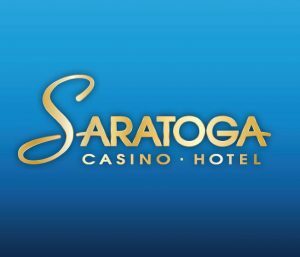 This event is funded entirely by donations and is NOT funded by the City of Saratoga Springs. 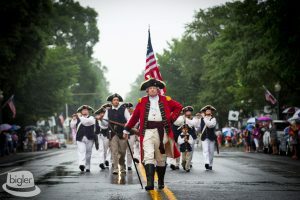 If you’re looking to begin your July 4th festivities in an invigorating fashion, register now for the 13th annual Firecracker4, a four-mile road race through Saratoga Springs that celebrates and honors America’s history! The first 3,700 registrants to sign up at firecracker4.com will receive a commemorative men’s and women’s cut tech shirt and swag bag. Other perks include chip timing with live results, text/email alerts, finisher certificates, $7,000 in cash prizes, 186 award categories and prizes, a large vendor village located at the start/finish area, and 20 bands along the course to keep runners moving! Those looking to support local veterans during registration can also purchase a Firecracker4 Twill running hat. Fifty one percent of the profit will be donated to the Saratoga County Veterans Service Agency. The Firecracker4 online entry fee is $30 through June 15th at midnight. (Those who register by June 15 will have their name imprinted on their racing bib.) From June 16th to July 1st the entry fee is $35, and then $40 through race day. Visit www.firecracker4.com for details. Join 3,500 runners for this amazing 4-mile road race. The course starts on Broadway, in Saratoga Springs, as participants race through our vibrant and historic downtown with friends, family members and spectators cheering for all of the runners. After turning on to Circular Street, the race traverses a series of local roads where residents and their friends stand on the sidewalks or sit on their front porches waving flags and offering up water as runners pass by their front yards. The race finishes under a huge American Flag back downtown near the Saratoga Springs City Center. This is one of the most patriotic road races you will ever experience! 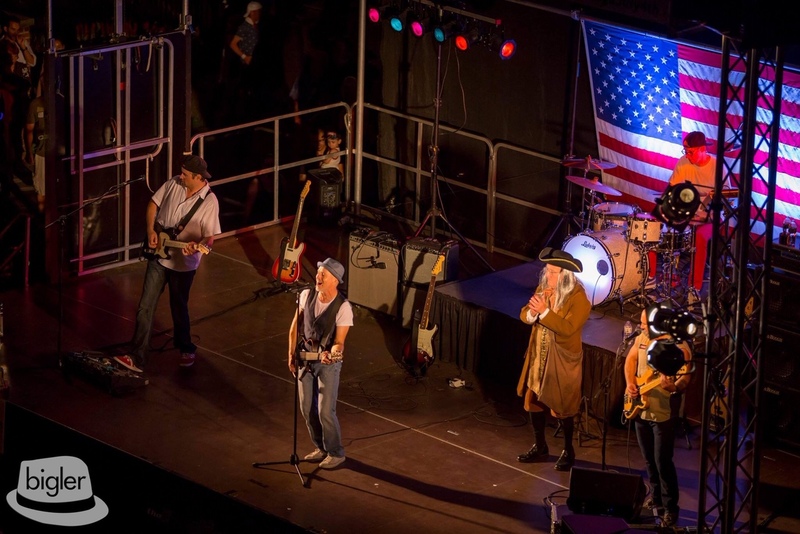 It is tradition, in Saratoga, for Benjamin Franklin to climb on to the stage at approximately 9:15 p.m., every July 4th, where he reads the Declaration of Independence. He does this in front of a crowd of more than 10,000 people in the Spring Street parking lot, in downtown Saratoga Springs, NY. Once this reading of the Declaration of Independence, a spectacular fireworks display begins just over Historic Congress Park. 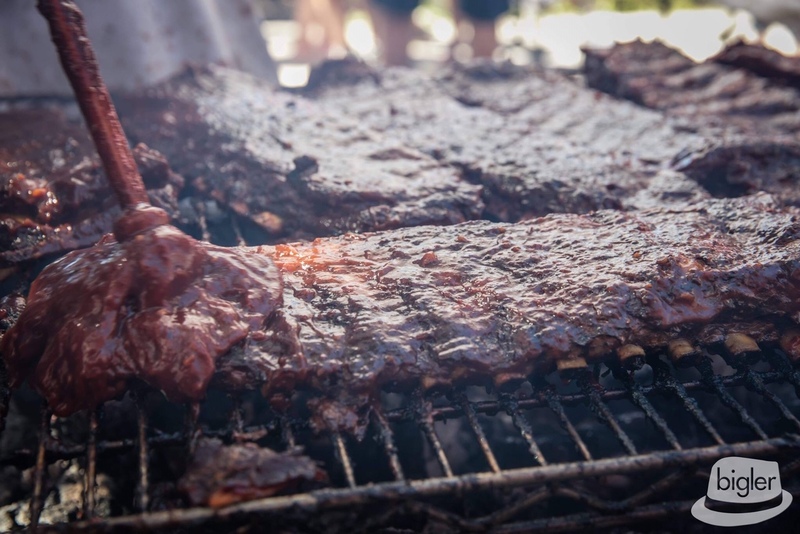 Restaurants across the City of Saratoga Springs annually take part in the All American Celebration's Barbecue Festival. This is a great opportunity to sample delicious food and stroll through the downtown during the day on July 4th. In addition to local restaurants, a range of food trucks will be positioned downtown to expand the offering available as part of the July 4th BBQ Festival. Participants will be asked to cast a ballot online to select their favorite BBQ Festival participant.